Andalusian peasants from Cordoba, Spain 1878. 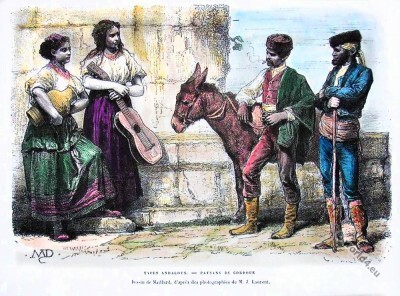 Home » Andalusian peasants from Cordoba, Spain 1878. Spain. Types Andalusians. Peasants From Cordoba 1878. This entry was posted in 1878, 19th Century, Spain and tagged Traditional Spain costumes on 5/30/15 by world4.